Materiality. 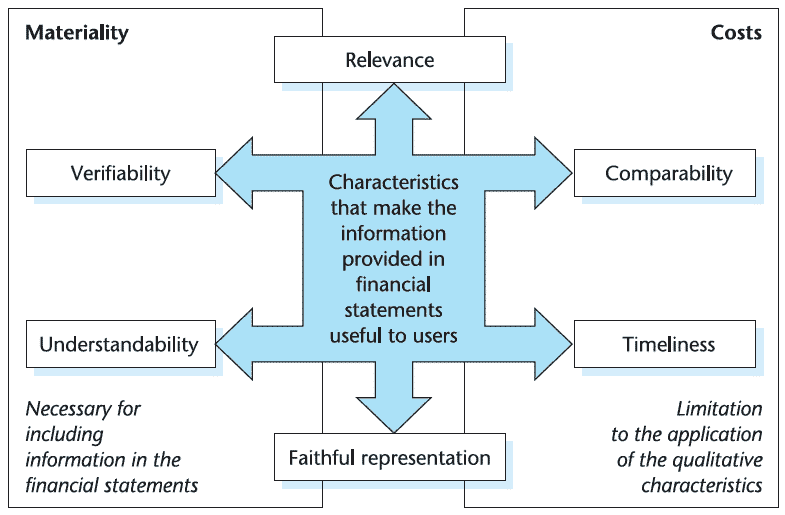 Information is material if its omission or misstatement could influence the decisions that users make on the basis of an entity’s financial information. Because materiality depends on the nature and amount of the item judged in the particular circumstances of its omission or misstatement, it is not possible to specify a uniform quantitative threshold at which a particular type of information becomes material. When considering whether financial information is a faithful representation of what it purports to represent, it is important to take into account materiality because material omissions or misstatements will result in information that is incomplete, biased, or not free from error. Cost. Financial reporting imposes costs; the benefits of financial reporting should justify those costs. Assessing whether the benefits of providing information justify the related costs will usually be more qualitative than quantitative. In addition, the qualitative assessment of benefits and costs often will be incomplete. The costs of providing information include costs of collecting and processing the information, costs of verifying it, and costs of disseminating it. Users incur the additional costs of analysis and interpretation. Omission of decision-useful information also imposes costs, including the costs that users incur to obtain or attempt to estimate needed information using incomplete data in the financial report or data available elsewhere. Preparers expend the majority of the effort towards providing financial information. However, capital providers ultimately bear the cost of those efforts in the form of reduced returns. Financial reporting information helps capital providers make better decisions, which result in more efficient functioning of capital markets and a lower cost of capital for the economy as a whole. Individual entities also enjoy benefits, including improved access to capital markets, favorable effect on public relations, and perhaps lower costs of capital. The benefits also may include better management decisions because financial information used internally often is based at least partly on information prepared for general-purpose financial reporting.